When it comes to dental care, the ideal option for you may not be what you expect! Even after you’ve had a fairly painless experience at the dentist, the bill you have to pay when you get home can hurt your pocketbook! 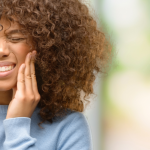 The high cost of dental care can be so stressful for some patients that the next time they may need dental treatment, they decide not to go to the dentist at all. Although this solution may provide immediate relief for your wallet, it will not save time, money or pain in the long run. Preventative care and treatment of dental conditions early on are the only ways to get ahead of problems that you never could have anticipated. Proactively seeking treatment can also provide patients with the dental education that they may not have received when they were young and first learning to care for their teeth. Why Get Dental Work at Dental Schools? You want to prevent problems and pain later on, but you don’t have the budget to do so. You’re certainly not the only one in this situation. It is estimated by various sources that between 108 and 114 million Americans lack any basic dental coverage. This figure doesn’t include the millions more who have a very minimal dental insurance. 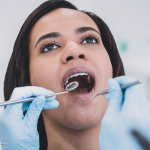 Dental work at dental schools can offer many advantages to people who find themselves in a financial situation preventing them from getting the care they need. 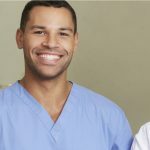 Many people assume that the only option is to go to a privately owned dental clinic, but the costs in these settings can go much higher than anything you’ll find in a dental school. That’s because dental work at dental schools primarily seeks the education of its students. Dental schools charge according to the need to cover costs, not primarily to make a profit. Discounted work through a dental school includes many of the same services that your private dentist would offer, but at lower cost. Licensed dentists considered to be at the top of their field supervise the process. They provide checks and correction to ensure that the work is done perfectly. Dental students need the practice and want to impress their teachers, as well as provide the best possible care for you. They take their time so that the dental work is done as professionally as their career requires. Realize that the students taking care of you are not in their first or even their second year. They are in their third or fourth year, completing their education. At this point their knowledge of the field is fresh and also up-to-date. Dental schools are a great option to save on preventative care. They provide an inexpensive alternative to get cleanings, X-rays, etc. Maybe you’re reading this because you were looking for inexpensive options for your care, or you wanted to learn more about how dental schools work. 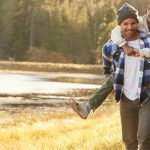 If you’re seeking preventative care or treatment, consider Penn Dental Medicine, a premier dental school with a trusted reputation. We are currently accepting new patients. If you’d like to make an appointment, call us at 215-898-8965 today.